Photocopy, 8.5″ x 11″. Intended to be posted on the street as an advertisement. 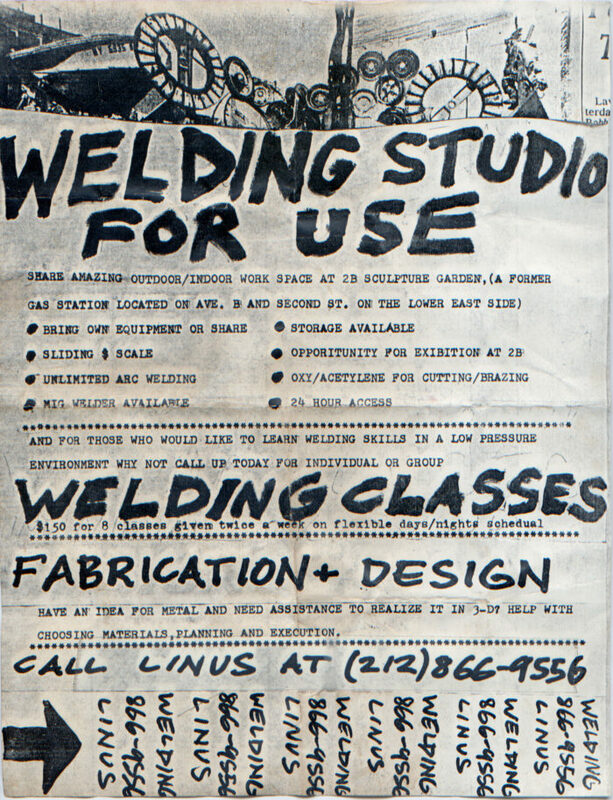 In 1986, Linus Coraggio transformed an abandoned gas station at Second Street and Avenue B into a “scrap-metal studio” and exhibition space, which operated for ten years. Throughout this time, he regularly came up with novel ideas to support his continued use of the space.